The road to a finished book is littered with discarded characters. As subplots are cut and the main character’s story is streamlined, some characters no longer serve a purpose in the book and are bid farewell. In an earlier version of A Strange Companion, Kat had a second brother. He was the Golden Child with the perfect family, who could do no wrong in Kat’s mother’s eyes. But he and his family didn’t serve the story, so they were cut and Jon inherited some of his former brother’s traits. In another draft, Kat sought spiritual counsel from an elderly Chinese woman who had strange mystical powers and operated from a dusty old shop on a backstreet. She was a wonderful character, but I needed Kat to get more pragmatic advice and a bump back down to reality, and so Marjorie Gladstone took over the role. One of my favorite characters, now residing in the character graveyard, is Victoria, Kat’s classmate and a potential rival for Owen’s affections, or so Kat believed. In fact, Victoria, with her huge purple glasses and plummy private school speech, was an innocent, completely oblivious to the effect she had on men. But after the “watch incident” and Kat and Owen’s break-up, Kat went to Owen’s dorm room to apologize, only to find Victoria sitting cross-legged on Owen’s bed, supposedly getting help with her chemistry homework. Although nothing ever transpired between Owen and Victoria, she raised the stakes for Kat, showing that Owen had other options if Kat didn’t get her act together. Victoria was part of a storyline that would have thrown Kat and Owen together at a conference later in the book and forced them to decide if they had a future together. But alas, the conference would have taken Kat away from Mai and the main storyline of the book, and so it—and Victoria—bit the literary dust. I do miss Victoria and many of the characters and scenes that didn’t make the cut. But I’ve kept all their scenes, and maybe they’ll make a comeback in another story. Who knows? Imagine you live in an idyllic English village. Suddenly your friends and neighbors begin falling ill and dying of a deadly infectious disease. In order to stop the spread of this virus to the surrounding villages and beyond, you and your neighbors make a monumental decision. You quarantine your village; no one comes in, no one goes out. For months you isolate yourselves, relying on the kindness of surrounding neighbors to provide food and supplies. You wait and watch, while the disease rips through families, sparing some lives and taking others. When it’s all over, 260 people—more than two thirds of the village—are dead, but the contagion has been stopped, potentially saving the lives of thousands of people—and your village will be remembered for centuries to come for its courage and self-sacrifice. Sounds like a great premise for a novel, doesn’t it? In fact, it’s a true story. 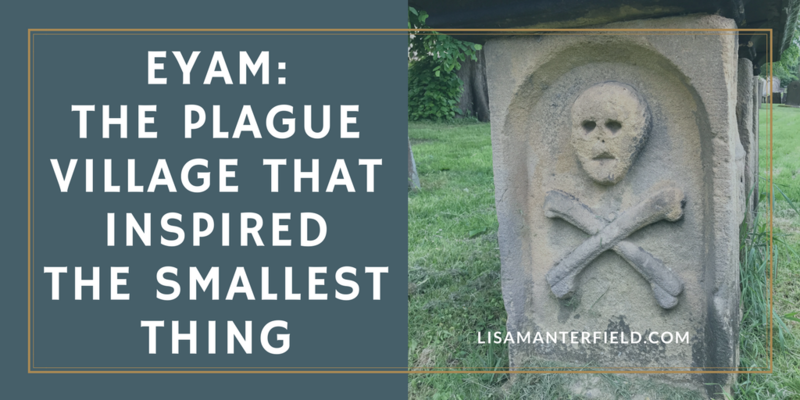 This is the story of the plague village of Eyam, a small village in the north of England, not far from where I grew up. In the mid-1600s The Great Plague ravaged London, killing more than 100,000 people. 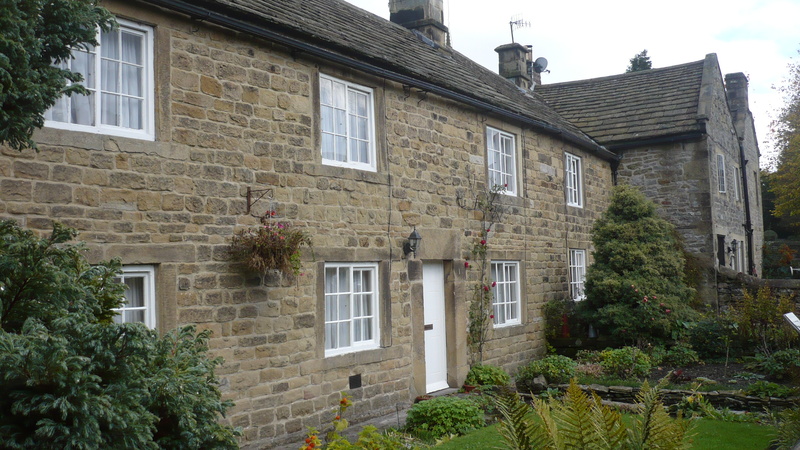 Thanks to a stowaway flea in a bolt of cloth, the disease made its way to Eyam, some 150 miles to the north. Lead by the local vicar, Reverend Mompesson, the villagers made the horrific decision to isolate themselves and prevent the plague from spreading further. I’ve always been fascinated by this part of history and the personal stories that have endured. There’s the story of Emmott Syddall, engaged to a boy in the next village. The two lovers continued their affair across the quarantine boundary from opposing riverbanks. Their story is commemorated in a stained glass window in the church. There’s the story of villagers leaving money in a pot of vinegar (to disinfect it) in exchange for supplies from surrounding villages. And there are the tragic stories, such as Elizabeth Hancock, who buried her husband and six children, and yet never became infected. 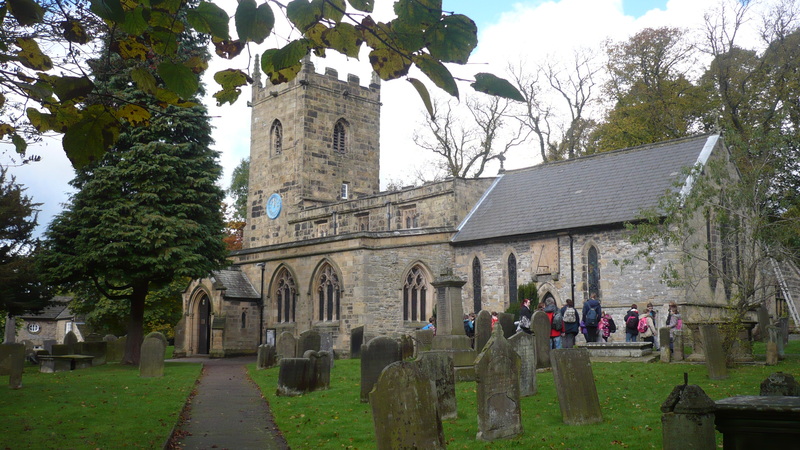 I first heard these stories as young girl visiting Eyam and they’ve stuck with me ever since. They’re an important part of my local history and I’ve always wanted to find a way to share them with a wider audience. I didn’t want to write historical fiction (plus Geraldine Brooks already did it, and undoubtedly better than I could have, in her 2002 novel Year of Wonders), and writing a contemporary version of the story was fraught with roadblocks, thanks to the wonders of modern medicine and technology. But I really wanted to tell this story, so I started writing. I started with the characters of Emmott Syddall and Roland Torre, and wrote some scenes with them. And I kept writing, until a new story started to emerge. The story evolved, as stories do, in ways I could never have imagined, until it became my novel THE SMALLEST THING. You’ll have to read the book for a more intimate tour of Em’s village, but for now, I’ll leave you with a few more snaps of Eyam, taken from one of my research trips. 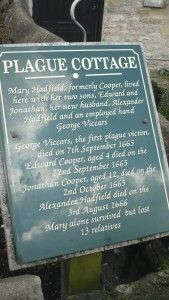 You can still see the Plague Cottages, where George Viccars, the first victim lived. The cottages are still inhabited. 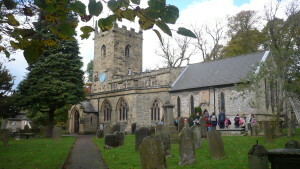 You can also see the church and churchyard where some of the victims were buried. One of my favorite spots is Cucklett Delf, where Emmott and Roland allegedly met, where outdoor services were held during the quarantine, and where a memorial service is held each year to commemorate the incredible sacrifice. You can learn more about Eyam at their excellent museum. Oh, yes, yes, I know video teasers are supposed to come out before the book, but being conventional is so dull. So, here it is, the brand new teaser for A Strange Companion. Let me know what you think! 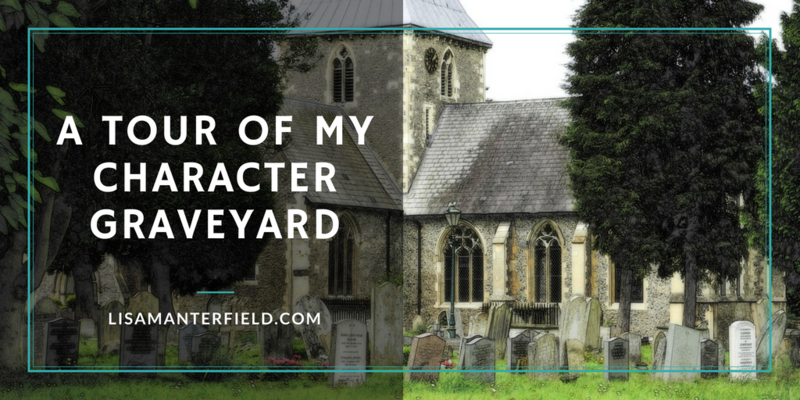 Sometimes people ask me if the characters I write are based on real people. For the most part, the answer is no, at least not directly. The truth is that most characters have elements of people I’ve met, or heard about, or they say or do things that I’ve witnessed in real life. It’s impossible not to draw from experience. In fact, much fiction writing pulls incidents and emotions from real life and drops them into fictional scenarios. It’s the same way that actors draw on their own emotional experiences to give depth to the characters they portray. That said, of all the characters in A Strange Companion, one is pulled from real life. Owen was a later addition to Kat’s story. During one rewrite, I realized that, if Kat was really trying to move on after Gabe, she needed to have an enticing option to consider. And thus, Owen was born. Naturally, if Owen was going to be swoon-worthy, he had to be a scientist. I mean, brains over brawn every time, right? And so the floppy-haired, cake-baking chemist loped onto the page. But Owen’s cake-baking isn’t the only thing borrowed from a real-life person. The original meeting between he and Kat, when they introduce themselves via charades and a rebus, is based on an another, more personal, interaction pulled from my life. When I was in college I met “Owen.” Our friendship began with an exchange of information between my study room in the library and his dorm room window. It blossomed into a sweet and fun friendship, and would have undoubtedly developed into a romance had it not been for the appearance of a dashing suitor. I sometimes imagine that the original Owen might one day read Kat’s story and recognize himself, and maybe even accept his cameo role as an apology for my appalling behavior. Sadly, experience has taught me that people rarely recognize themselves in books, and those who think they’re the models for characters seldom are. A Strange Companion is a Kindle Countdown Deal, beginning today. Grab yourself a copy early to get the best deal. Click here to buy. After the recent wildfires here in Sonoma County, our local radio station read the names and ages of all the victims, adding more as news came in. We’ve also, sadly, become accustomed to seeing the faces and hearing the names of victims of gun violence, long lists of people no longer alive. As hard as it is to hear these names and see these faces, it’s important for us to remember that real people with full lives, with families and friends who loved them, are behind these news headlines. I never want to lose sight of the fact that they were far more than simply terrible statistics. When I first began writing The Smallest Thing, I was intrigued by the story of Emmott Syddall and Rowland Torre. 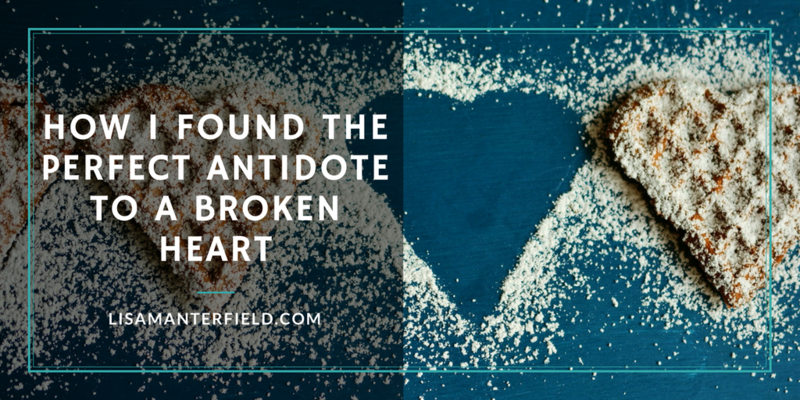 I imagined a romantic tale of two young lovers separated by a quarantine. But, as I brought the story into present times, it morphed and evolved, as all stories do. I imagined what it would be like to be held inside a quarantine zone, uncertain about your future. I couldn’t stop thinking about the real people of Eyam, who made the decision to impose the quarantine on themselves. What would it have been like in 1665 with no social media to gather information or cell phones to stay in touch with loved ones outside the zone? Would it be any better or worse in the 21st Century? 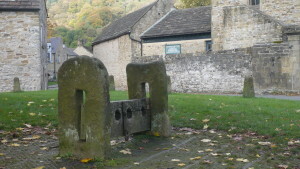 When I visited the real-life plague village of Eyam for research, I was struck again by the sacrifice made by the villagers, and the scope of the tragedy. 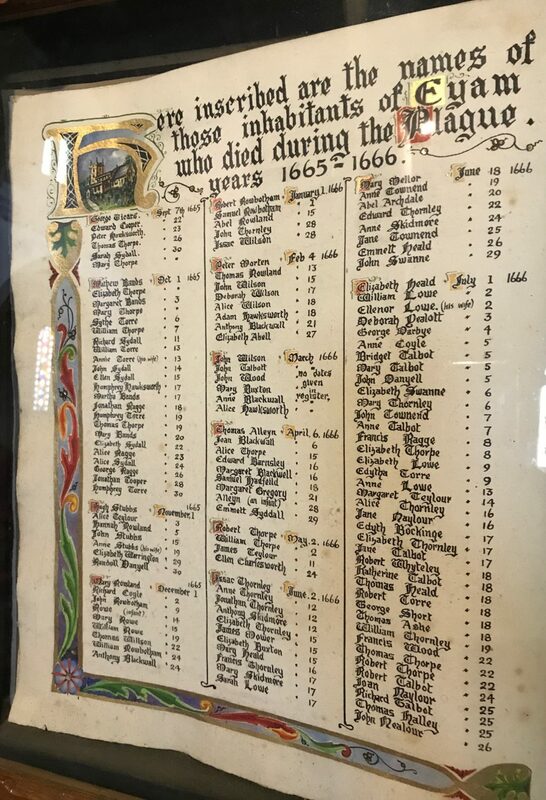 In the village church, I saw the parish death register listing the names and dates of death of every victim. Because that tragedy happened when record-keeping was imprecise, it’s unknown exactly how many people lost their lives in the village. Estimates suggest that 260 of the approximately 350 villagers perished during that 14 months. 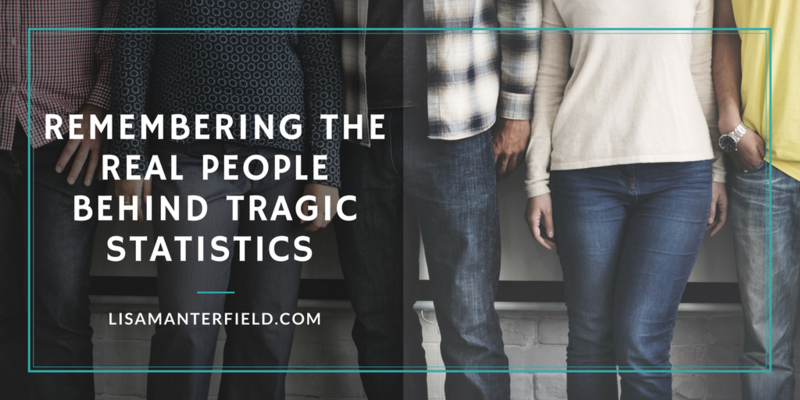 In some cases, entire families perished, one after the other. In the register, I saw, in writing, how the disease picked its way from person to very real person. 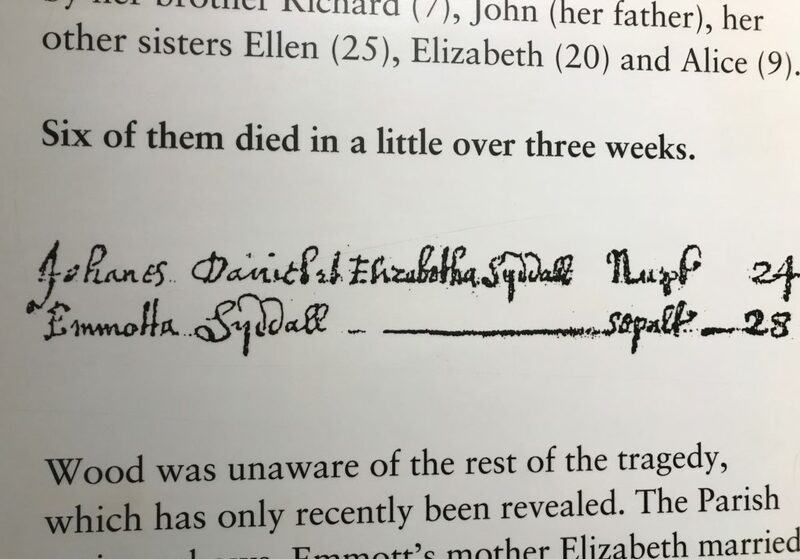 Among the dead were six members of the Syddall family, including Emmott. 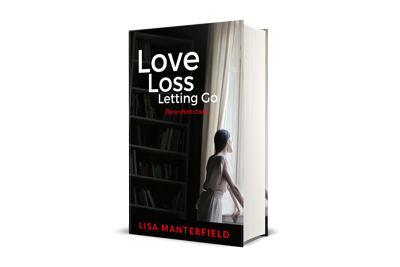 Seeing her name made me realize that I needed to tell more than just a tragic love story. It had to write about survival. It had to tell the story of an ordinary girl who finds herself in an extraordinary situation, who witnesses a catastrophic tragedy and is forever changed by the experience. More than anything I wanted to make Emmott real. 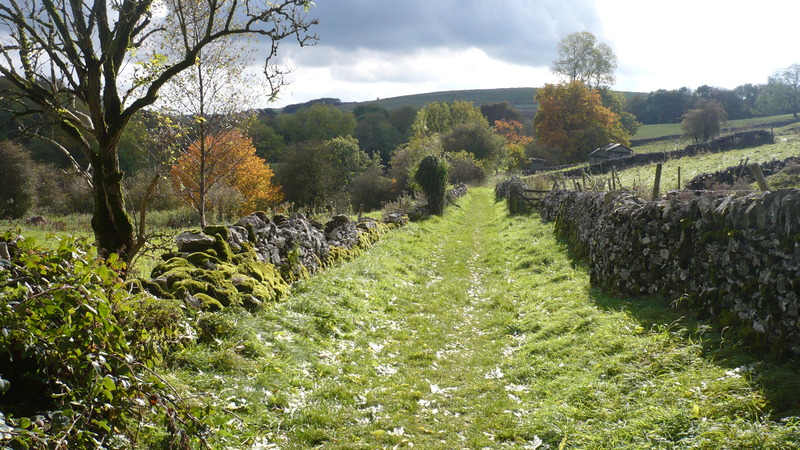 Even though the true story of Eyam and the plague happened more than 350 years ago, we can’t forget that it happened to real people, not so different from us. 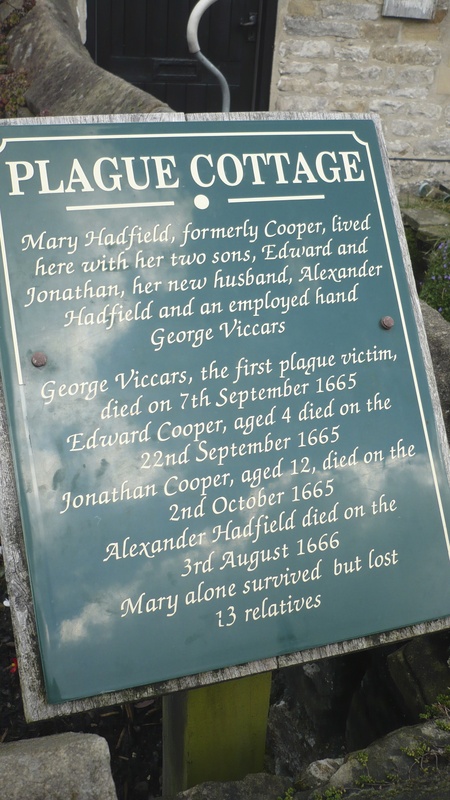 If you would like to read the names of the Eyam plague victims, you can find them at the Eyam Museum website.